It might not be very apparent, but we are all affected by the energies that surround us. After all, we are basically energetic beings vibrating at a certain frequency. Whether we like it or not, the energy of the place that we are in will affect us in the most profound ways. That is why when we come near a person with a very positive and joyful outlook on life; his enthusiasm and zeal rubs off on us unconsciously. Of course, that is not a problem at all. The problem comes when we meet extra pessimistic personalities or even situations. Left unchecked, their negative energies will slowly seep into our bones as well and, if we are not careful, we might end up like them. Thankfully, it is actually very easy to counter any negative energy you may be exposed to. Here are some of the ways to do it. Energy is all around us. It vibrates through smells, sounds, colors, objects, animals, and people. We communicate with each other and everything around us through different forms of energy even though we label it in different ways. Most often our moods depend on the energies that affect us. 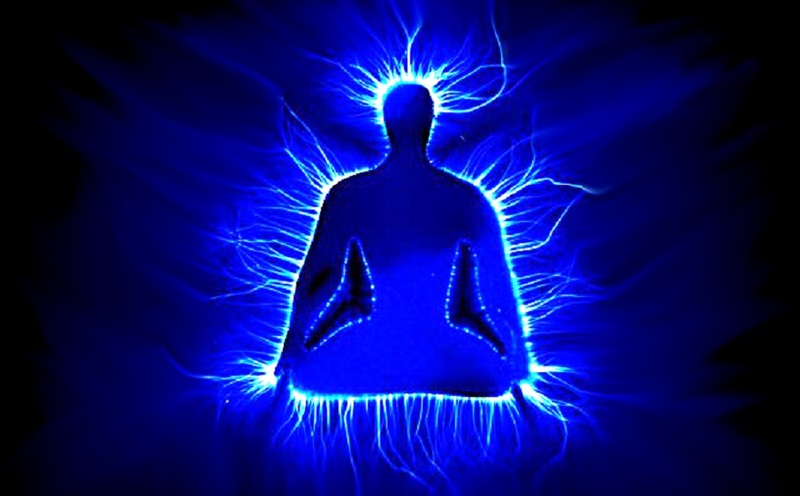 If we are not careful, we can absorb energies that are harmful to our well-being. We allow ourselves to become negativity sponges where others are able to dump their emotional baggage. It’s a noble act to be there for someone who is completely confused and lost. But it doesn’t mean that you should get down where they are and stay there. That would be counterproductive to both of you. Helping them rise up to our level of positivity is the wise thing to do and it benefits all. Of course, you would have to reach down with your hand in order to pick someone up. However, it takes a lot of awareness not to go too far in lowering our shields. If we do, we would find ourselves in an energetic mess. Here are the 7 things you must stop doing in order to prevent yourself from absorbing too much negative energy. 1. Connecting with other people through negative emotion. This is a common scenario among friends and families. When your friend or a member of your family is feeling depressed, you naturally stand by their side to offer comfort. You offer a shoulder to cry on. While going down to their level to meet where they are can help the other person purge sadness out of their system, it can lower your vibration. In the end, you may find yourself miserable as the other person is. Instead of lowering your vibration to match with the other person’s own, why not offer them a higher vibration so that they will manage to get themselves out of that lower vibration. This way, everybody is able to help one another. Do not disrespect and discredit how the other person is feeling, just offer them a different perspective while being unconditionally there. 2. Owning up a responsibility that isn’t yours. People may come to you for help, but just because you are there to help, doesn’t imply you have to carry every baggage that makes their journey hard. You must remember that you have your own baggage to carry too. In fact, that’s your bigger responsibility. Having hands that are already full while trying to help others doesn’t make you a hero, it makes you a fool. It serves no one and it even damages the way you handle your baggage. Other people need to learn to carry their baggage so they may become strong in the end. Providing them encouragement and a constant dose of push are the best helping hands you can offer to them. Giving them the opportunity to learn how to handle their baggage on their own and to learn the lessons that come with overcoming those challenges is the real help. 3. Showing sympathy instead of compassion. Compassion is empowering while sympathy is dis-empowering. It’s because when you sympathize, you feel sorry for the other person and for whatever circumstances that befall them. Anyone who receives sympathy isn’t helped at all. They just feel loved but miserable because that is how other people make them see it. On the other hand, showing compassion makes the other person feel understood. Compassion tells that you can see within the other person to the part that makes all of us the same giving them the opportunity to see that for themselves. They will deeply feel the love and inner strength that you show them which will inspire them to muster their inner strength too. With a newfound strength, they will come to know that they have the ability to manage through whatever circumstances they are in. By showing compassion, you show them how much you trust their capabilities. And it promotes growth on their part. 4. Assuming that you know better. We are experts in giving advice to other people’s complex life. Sometimes we try too hard to make others listen so we can help them, but they just don’t. Even if it’s verbally called for, your advice or your knowledge doesn’t solve everything about the other person’s dilemma for the simple fact that you do not know everything about that person’s life. No matter how similar your experiences appears to be, there are things that you just don’t see or know. Besides, the other person sees things differently than you. Your advice may give them enlightenment but don’t expect for people to follow every bit of it. Let them walk their own path because it’s designed solely for them. People who really help others do not tell others where to go or how to walk their path. They just offer advice and open the doors. To avoid the negativity of not being able to help others, stop trying to. Just offer advice and perspectives they can use to better themselves without needing them to. This situation is unavoidable among friends and families. Two people get themselves into a conflict and both try to persuade you to take their side. Even if your sole objective is only to help both parties to settle the matter, you will find yourself bombarded negatively by two people who accused you of being biased. Even more, you love and care for these people if they are members from your family or close friends. As a result, you absorb both their negative energies. To avoid draining your own energy, tell them where you stand and never take sides. Make it clear to them. Accept their opinions and know that both parties are able to settle their differences the moment they are ready. It would happen even when you don’t mind meddling. Most empaths have people-pleasing genes in them. Saying ‘no’ to people is easier said than done. But being a wise empath requires you to say ‘no’, especially when you are aware how much of your energy is at stake. Giving your energy easily is a betrayal unto yourself, even though others may appreciate it. There are times when you need to put yourself first before others so you can help even more people. How can you continue your good works if you don’t have enough energy left for yourself? Strong boundaries when it comes to your energy are a must. 7. Listening to what people say. Anybody can have a hundred opinions about you. Whether it be positive or negative is no longer your business. If you make it one, you invite negative energies into your life. Some opinions do hurt, some make you feel good about yourself, but everybody has the right to have their opinion whatever that opinion is. Once you master the skill of not giving your care to what others have to say, you’re good to go. What matters is you define yourself and your life based on who and what you think you are and not based on how others see you. Let the people judge you freely, and let yourself live freely. After all, it’s your life. Be who you are without having to explain yourself to others.